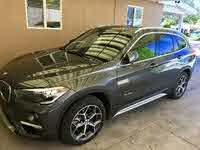 Looking for a New BMW X2 in your area? 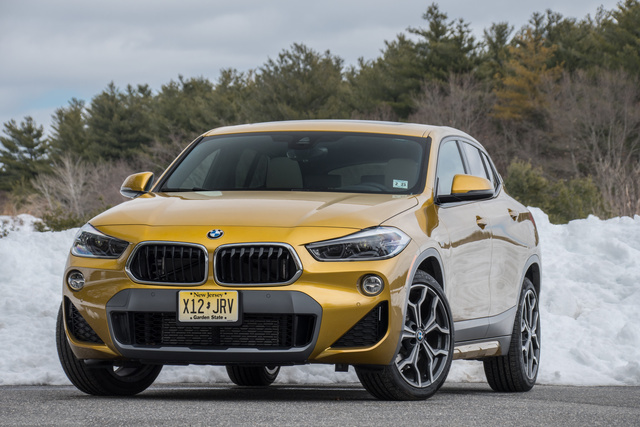 CarGurus has 371 nationwide BMW X2 dealers with 7,463 new car listings. BMW offers a luxury European hatch that only partly believes it’s a trailblazing SUV with a new model: the X2. Based on the MINI Cooper, inspired by the Subaru Crosstrek, and priced like a BMW, the new X2 is the company’s latest of six crossovers. It’s smaller and more expensive than the X1, cheaper than the X3, and fits into a very small segment of luxury hatchbacks with a mild suspension lift. It’s also a lot of fun. BMW’s even-numbered “X” vehicles represent a less practical, more expensive version of the odd-numbered models just below them. The X6 is a curvy X5, the X4 a swoopy X3, and the X2 is an X1 with a slammed roof. We dig it. Even without our test car’s Galvanic Gold paint and contrasting silver fenders, front chin spoiler, and rear valance, its body takes BMW design a couple of notches further than the X1 and X3. The twin-kidney grilles sport a new trapezoidal shape, and the grille slats bend inward. BMW roundel logos on the C-pillars are a funky throwback to the company’s sportiest coupes of the 1960s and '70s. Arching, asymmetrical wheel wells and a rising crease below the car’s shoulder line both rise as the roofline falls. The two intersect at the large LED taillamps, which dominate the liftgate and its slim rear window. It’s a prettier, bolder car than its main rival, the Mercedes-Benz GLA. BMW designers must have been sucking on SweeTarts and Sour Patch Kids while sketching the X2. It’s a tangy alternative to the company’s more staid and conservative vehicles. BMW had to, really. The X2’s only other competitors are the Range Rover Evoque and Infiniti QX30, two mini-utes that put fashion in the front seat. Credit some of the X2's funkiness to the M Sport X package ($4,650), which brings the two-color exterior and 19-inch Y-spoke wheels (20s are optional), a sport suspension dropped another 0.4 inches, ultra-comfortable sport seats, aluminum hexagon-patterned trim, and a chunky M Sport steering wheel. 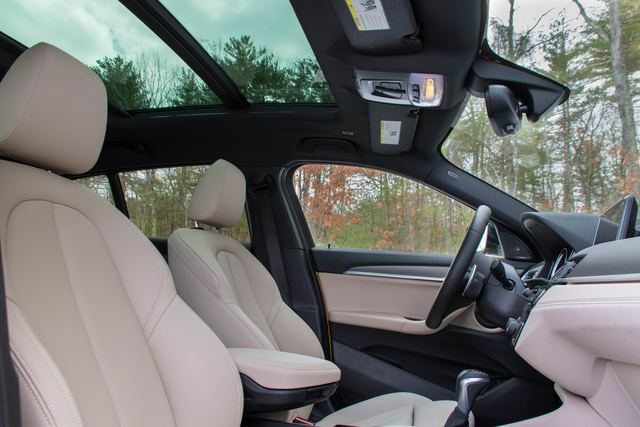 The interior is very similar to the X1's, with a floating center stack canted toward the driver, minimal instrumentation, simplistic controls, and nicely stitched upholstery dressing the center console and doors. Our car’s two-tone SensaTec vinyl felt like BMW’s Dakota leather (which, if you’re inclined, is available in bright red). Materials, finish, and quality are impeccable. The instrument panel is rather unique in that it doesn’t glow amber, as BMWs always have for decades. It’s white. Also, the gauges are recessed behind a tinted black cover that makes them appear digital, even though they’re analog. This may not even matter to most people, but the X2 is all about the details. A single engine is available with either front-wheel drive (FWD: the sDrive28i), or all-wheel drive (AWD: the xDrive28i), both paired with an 8-speed automatic. (The X2 and X1 are based on a newer chassis shared with certain MINI Cooper models and a Euro-only BMW called the 2 Series Active Tourer; all other BMWs are standard with rear-wheel drive.) 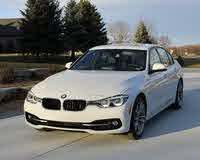 The turbocharged 2.0-liter 4-cylinder is identical to the X1's, with 228 horsepower and 258 pound-feet of torque. An optional adaptive suspension allows the driver to switch between Comfort and Sport settings on either all-season or summer tires. We didn’t have those adaptive dampers on our xDrive28i, but we did have run-flat Pirelli Cinturato P7 summer tires that made the X2 grip like a champ on twisty back roads. They also, along with that lowered sport suspension, make the X2 ride very flinty and stiff over even minor road imperfections. The chassis, thankfully, is never disturbed by those harsh impacts. 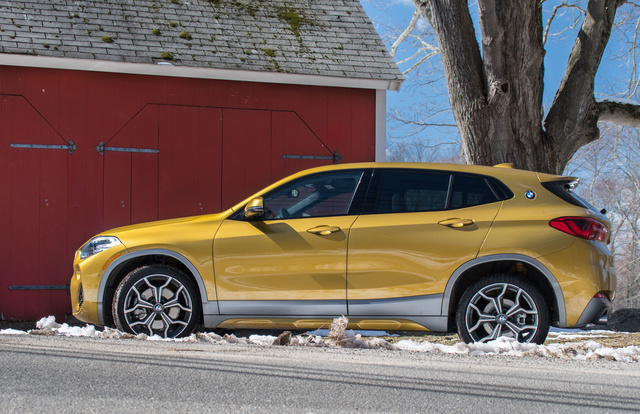 It’s delightfully balanced even though it really isn’t—since it’s not BMW’s typical RWD setup, most of the X2’s weight hangs over the front axle. Steering feel, response, and weight emit all the tingly sensations to our palms that past BMWs once did—and current BMWs like the X1 and M2 have rediscovered. The X2 is a very fun car. Helping this is that engine, a smooth and pleasant-sounding four with gobs of torque and a fast-reacting transmission. Unfortunately, this gearbox is made by Aisin, not ZF, because it’s meant only for a transverse engine layout. The ZF is a flawless gearbox. The Aisin briefly hesitates as it upshifts under full throttle, although downshifts are smooth and quick. That’s about as bad as it gets with the X2. Brake-pedal feel and stopping power are also top notch. Want more power? 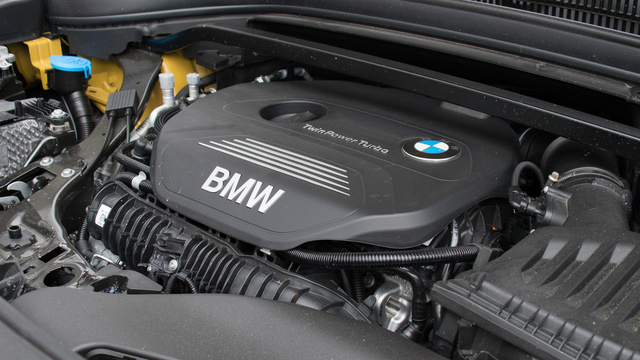 No doubt a 6-cylinder M Performance X2 with more than 300 horsepower is in the works, but you’ll have to wait. Fuel economy is only so-so. Over 460 miles, we averaged close to 24 miles per gallon on premium fuel. 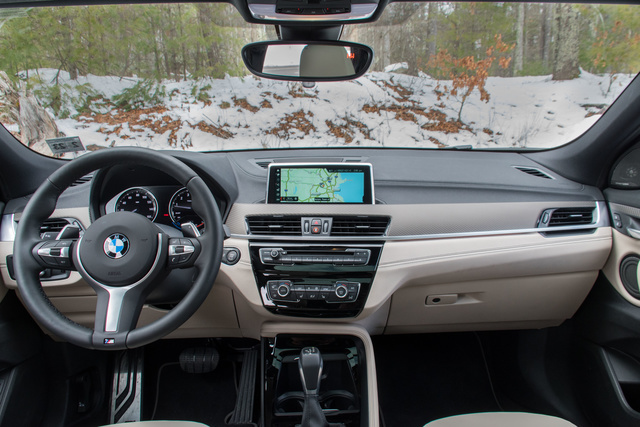 The X2 xDrive28i is EPA-rated at 21 mpg city, 31 highway, 25 combined. Estimates aren’t yet available for the sDrive28i trim. The backseat is livable for 6-footers, at least for short trips, thanks to scalloped backrests on the front seats that let knees extend and a carved-out section of roof for taller necks. But it’s snug back there, even with the seats reclined. Plus, you won’t find extra USB ports or heated cushions. Cargo space is down 8.6 cubic feet versus the X1, at 50.8 in total. But the 40/20/40 split-folding seats make the most of what’s there, plus a hidden under-floor tray (where the spare tire would have gone) is a nice bonus. Up front, the driver and passenger enjoy an airier cabin, although rearward visibility suffers greatly due to those thick C-pillars and the tiny rear window. The central armrest also doesn’t slide backward—it tilts forward but annoyingly locks in place and has no covered storage space save for a single cell phone (equipped like ours was with a $500 wireless charging pad). I couldn’t get my right arm comfortable. I’d either hit my elbow during sporty driving, or my wrist would tilt uncomfortably as I adjusted the iDrive rotary controller and buttons below it. 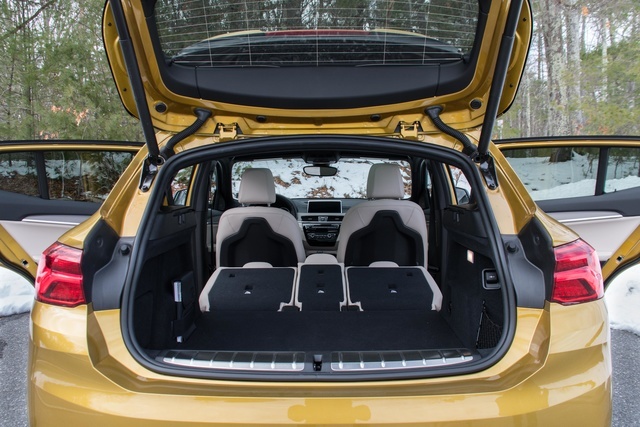 The X2 redeems itself with large door openings (plus a BMW logo that doubles as the hatch release) that make entry, exit, and cargo loading a snap. That simple instrumentation makes it super easy to work the X2’s controls. The X2 has a touchpad and a touchscreen, and with buttons on the steering wheel duplicating many functions, working the iDrive system is much easier than running most infotainment controls on the market. We might suggest deleting the rear spoiler if you’re obsessive about keeping the window clean—it’s a nice piece, but traps dirt underneath in places your hand can’t reach. 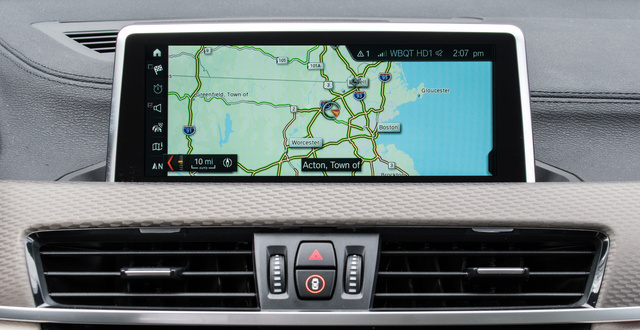 The latest iDrive 6.0 has revised menu controls, a more robust home screen, and pinch-to-zoom gestures that make it more like a tablet. It’s fast, high-res, and responsive. You can preview submenus and the settings you’d like to adjust before pressing them. Changing vehicle preferences brings animated demonstrations. For example, highlighting the three-blink turn-signal option shows a virtual X2 with its turn signal blinking three times. It’s like that for many options, along with an indexed digital owner’s manual. BMW’s live traffic service, available with the Premium package ($2,600), pairs with remote services that let you send navigation directions to the car from your phone. The head-up display previews the actual intersection for upcoming turns instead of generic graphics. Apple CarPlay is a $300 option, while Android Auto is not available. The Harman Kardon stereo was a worthy $875 upgrade, and our X2’s customizable ambient LED lighting was the final hat tip to this BMW’s flashy style. We were disappointed, however, that 360-degree cameras and semi-automated driving assistance were not even available. It was a relief to see a traditional PRNDL shift lever, as awkwardly long as it appeared, compared to BMW’s complex shifter in other models. The X2 has not been rated by the National Highway Traffic Safety Administration (NHTSA) or the Insurance Institute for Highway Safety (IIHS). The Driving Assistance Package ($700) is a good value, bundling forward-collision alert, automatic braking with pedestrian detection (during daylight only), and lane-departure warning. Adaptive cruise control is another $1,000. Lane-keep assist is not offered, and frankly, the 2018 Nissan Rogue we tested beats the pants off this BMW when it comes to driver-assistance technology. Elsewhere, we’re confident the X2’s strong and stiff structure will perform well in an accident. Our car stickered at $50,920 with destination and included every option save for adaptive cruise control, adaptive dampers, and 20-inch wheels. The sDrive28i starts at $36,400, the xDrive28i at $38,400, and a version you’d actually want to own costs at least $43,000. You have to add option packages to BMWs that you don’t have to on lesser cars, like lumbar support, garage door openers, and SiriusXM. At least BMW includes three years or 36,000 miles of scheduled maintenance, which Mercedes-Benz and Audi don’t even try offering. The X2 is pricey, and its value will drop quickly, as do those of the GLA-Class, QX30, and Evoque. But in this small segment of big-style crossovers—or hatchbacks, as we really and truly see them—the X2 is the best driving, most refined of them all. 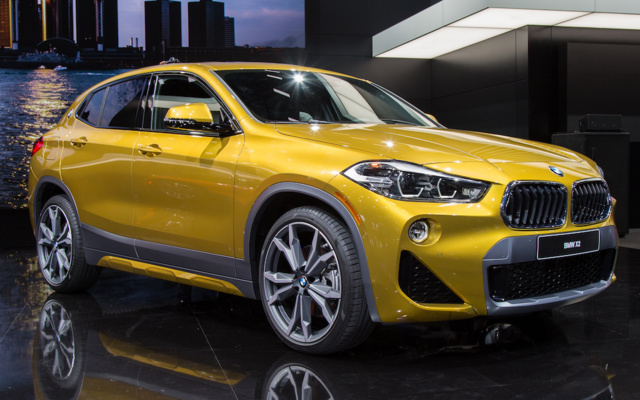 What's your take on the 2018 BMW X2? TheHorror What does “tangy” mean, in reference to a car? And how is yet another front-wheel drive squashed crossover “trailblazing” in any way? Sounds like you’re just securing a shot at future press vehicles, by slinging nonsensical adjectives, rather than being the least bit objective. GuruX5SVR Why whine at someone's opinions? If you've driven one, compare and contrast your findings. If not, no reason to post such as you did, eh? Have you driven a 2018 BMW X2? Enter your zip to see incentives for a new X2 in your area. Looking for a Used X2 in your area? CarGurus has 2,261 nationwide X2 listings starting at $26,977.